It looks like Hulu is about to create some drama with its biggest competitor Netflix. 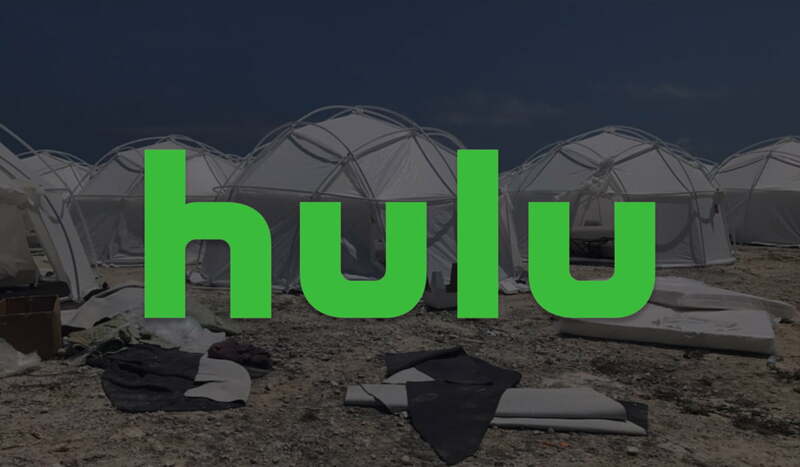 Hulu released its own take on the epically disastrous Fyre Festival just days before Netflix was about to premiere its own documentary about the event. Hulu released “Fyre Fraud” today, just four days before Netflix’s “Fyre: The Greatest Party That Never Happened” documentary. The timing came as a surprise because Hulu never released promotional coverage or press interviews for the documentary. The Fyre Festival was a music festival scheduled to take place on the Bahamian island of Great Exuma over two weekends in April and May 2017. The event turned out to be a scam that led to eight lawsuits and a six-year prison sentence for co-founder Billy McFarland. McFarland was convicted of scamming his investors. According to Entertainment Weekly, Hulu says it released its version of the events to prevent Netflix’s documentary from tainting users’ views. According to an EW source, Hulu wants the chance to provide “enlightening” context to the event for those who later watch Netflix’s documentary. While this is the reason Hulu gave, no one would be surprised if Hulu was simply waiting for Netflix to announce its release so it could capitalize on the hype. Hulu’s documentary is directed by Emmy-nominated, Peabody-winning filmmaking team Jenner Furst and Julia Willoughby Nason. The team got access to exclusive interviews from the organizers of Fyre Festival as well as interviews with the people from the festival’s marketing agency FuckJerry, which was founded by Elliot Tebele, who happens to be the co-executive producer of the Netflix documentary. Former FuckJerry employees said they were told to cover up the details about the festival’s incoming catastrophe. Fyre Festival was basically a way for young, rich people to show off how much money they had. The advertisement campaigns for the music festival were so cringe-worthy that they could have easily been a spoof. McFarland went after influencers such as Chiara Ferragini, Hailey Baldwin, Bella Hadid, and Kendall Jenner to make an appearance at the festival and help promote it, but much of this participation turned out to be lies used to attract media attention. In the end, attendees paid thousands of dollars to see their favorite music acts such as Blink 182 and Le Youth in the Bahamas, only to find themselves stranded on a beach instead. The attendees were left without running water, decent food, or Internet access and had to stay in tents munching on cheap cheese sandwiches. Delayed flights made the matter even worse. Many acts had dropped themselves out of the festival in the weeks leading up to it, probably sensing that something was off. According to a Wall Street Journal report, the festival was in shambles with respect to organization mere weeks before the event. WSJ claims that organizers failed to pay many of the performers according to their contracts or provide them with appropriate logistic details. The event which was hyped as the “cultural experience of the decade,” died in a blaze of glory, taking its founders with it. McFarland learned an important lesson with this scam: Never mess with spoiled rich kids. The United States Attorney for the Southern District of New York charged McFarland with wire fraud. In March 2018, McFarland pled guilty to defrauding investors and a second count of defrauding a ticket vendor. The guilty plea led to McFarland being sentenced for 6 years in prison and a fine of $26 million. Rapper Ja Rule, his perhaps unofficial co-organizer, is now fighting his own legal battles at the moment, waiting to clear his name in a $100 million class-action lawsuit over the Fyre fiasco. We cannot wait to watch both documentaries and it will be interesting to see two different creative perspectives on the great dumpstre fire that was (or wasn’t) the Fyre Festival.